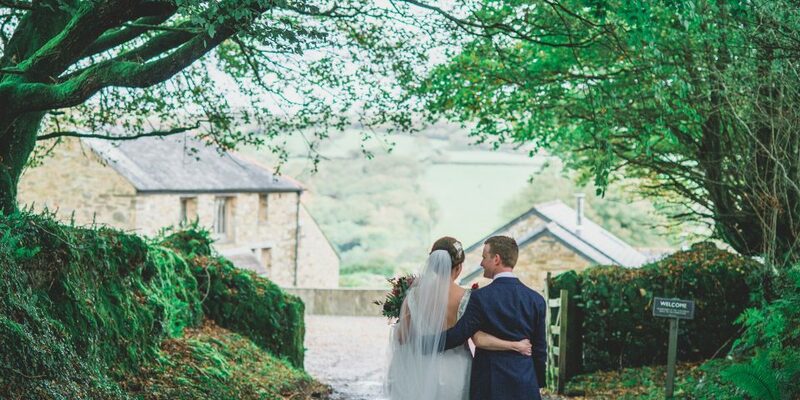 Ceremonies at Trevenna capture all that is romantic about Cornwall with beautiful views and a relaxed countryside feel. 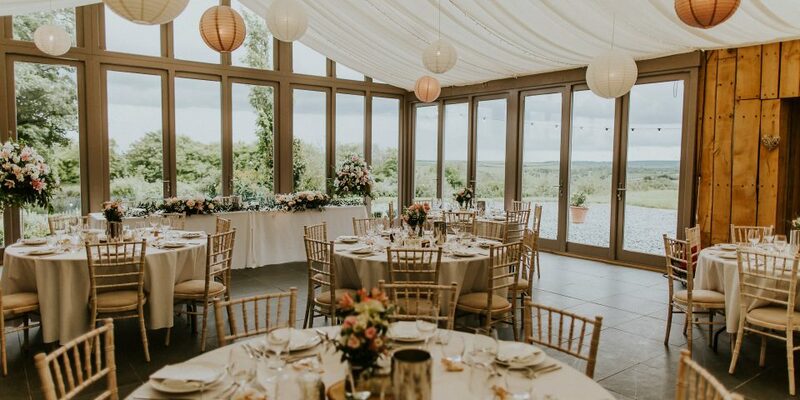 You have the choice of where you say your vows, from our stylish Threshing Barn with its fusion of natural stone walls and contemporary sleek fittings, or outside in the open countryside under our beautiful handmade wood and slate Arbour with its breathtaking views. 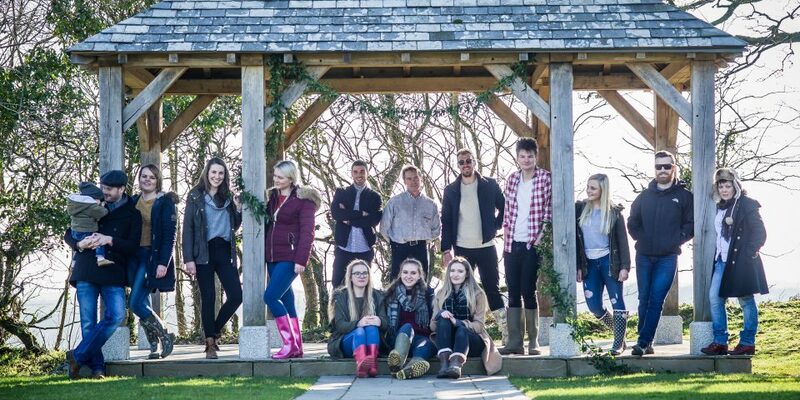 New for 2016 couples now have the choice of a ceremony with an “indoor outdoor” style when the weather is now so great, guests can see all that is romantic about getting married in the Cornish countryside from inside our garden venue room! 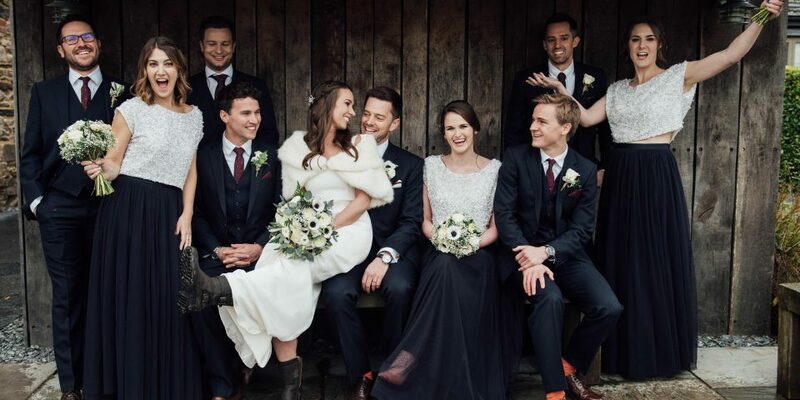 For those smaller intimate ceremonies the cosy Shippon Barn with its glass log burner and beautiful beams works well. Some couples choose to be married in the beautiful Church of St. Neot, just one mile away. 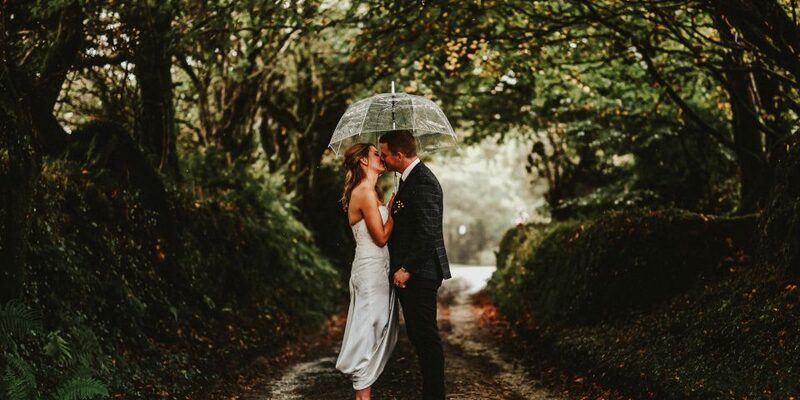 Trevenna is fully licensed as an Exclusive Use Wedding Venue in Cornwall for Civil Ceremonies giving you the freedom of holding your Ceremony and Celebrations all in one beautiful location. 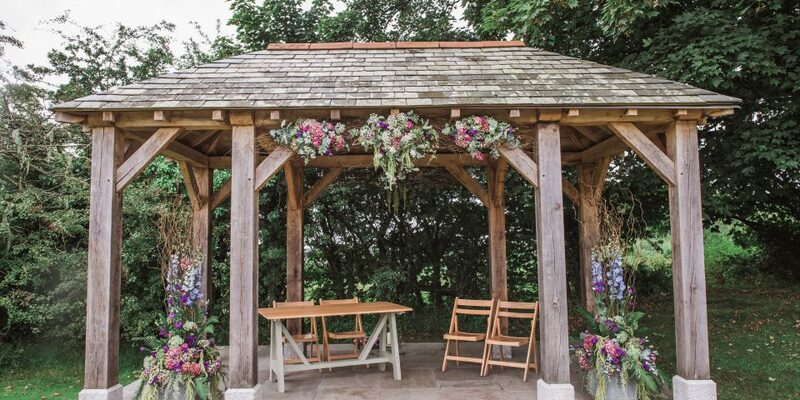 Our beautiful Arbour is constructed from Solid Oak and Natural slate. 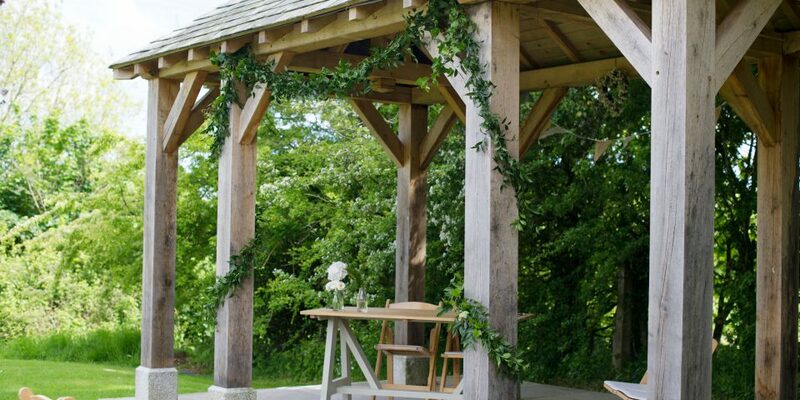 Constructed using traditional carpentry skills it provides a stunning outside ceremony location to say your vows. 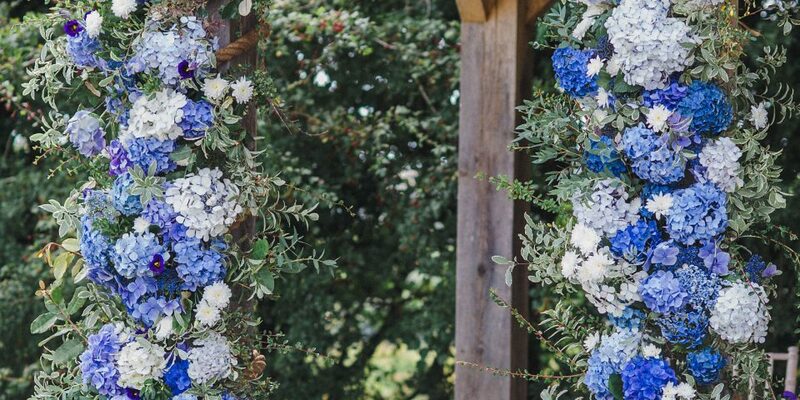 Dress our Arbour with drapes to create a soft and romantic look or decorate the posts and beams with ivy, flowers or bunting to create your own individual style. 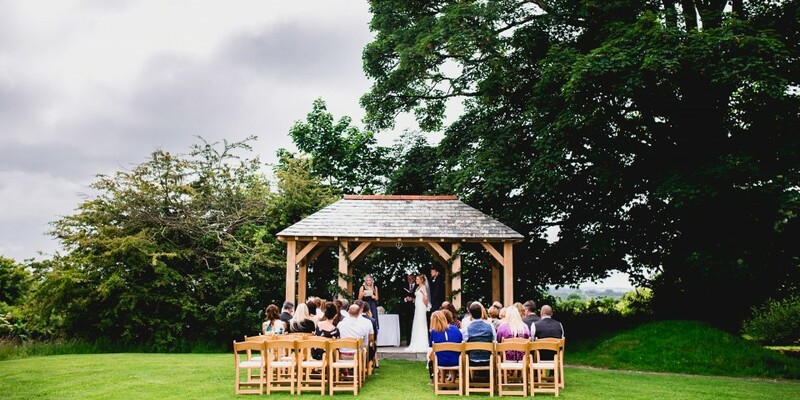 Or simply use the Arbour as it stands, beautiful & natural surrounded by open countryside views. 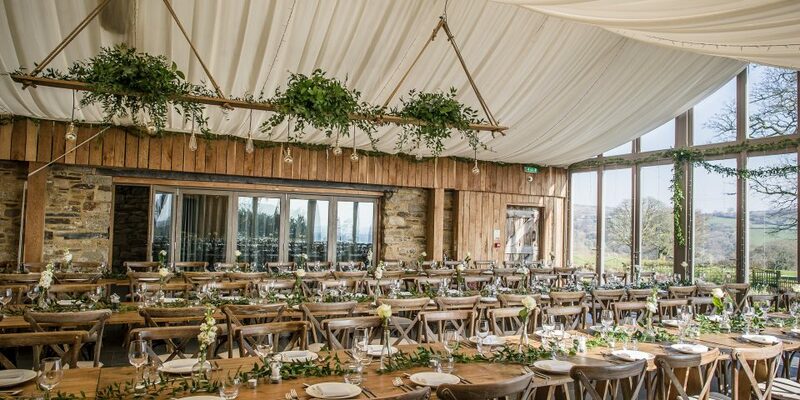 You can decide how you would like the seating arrangement for your guests from traditional rows to horse shoes, to sitting on hay bales. The choice is yours… You can make your entrance with a walk beside the pond as your guests look on from the lawn or through a central aisle across the lawn. 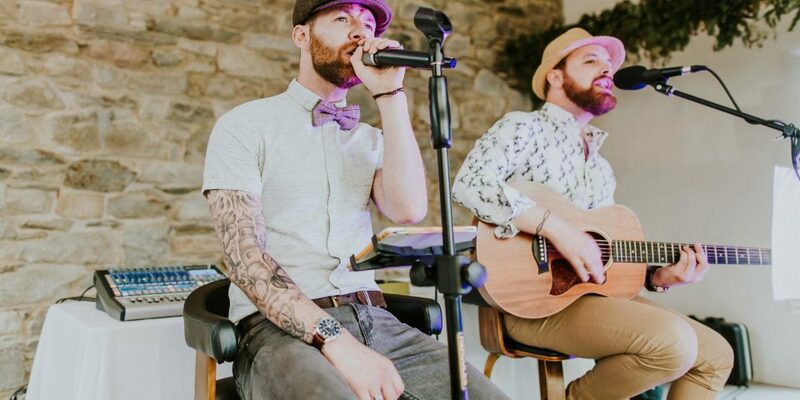 Music for your ceremony can be played through our PA system or if you prefer to arrange live music with a string quartet or jazz duo there is plenty of space to locate this close by. 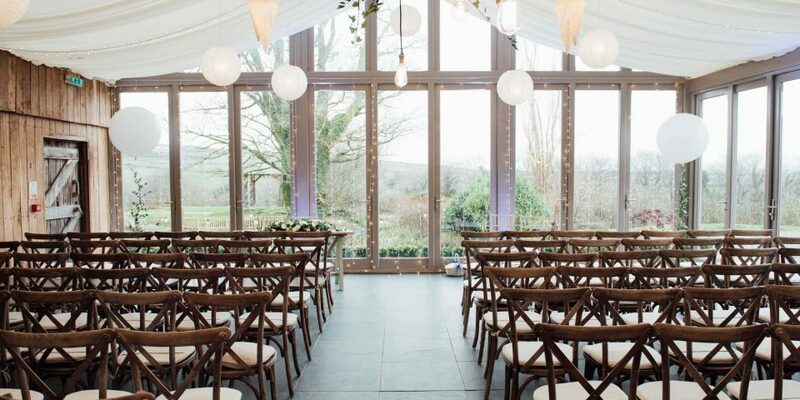 Our dramatic Threshing barn provides a light and airy ceremony space with natural tones of exposed stone and wood. Our brides may choose to make an entrance down the contemporary glass and walnut staircase. The real log burning fire and underfloor heating ensure the Threshing barn is cosy during the winter. The Threshing barn is a lovely neutral space that requires little decoration to make it your own. The beams and staircase are perfect for decoration with flowers or Ivy. Candles and flowers on the Registrars tables always look beautiful on the day and in your photos. 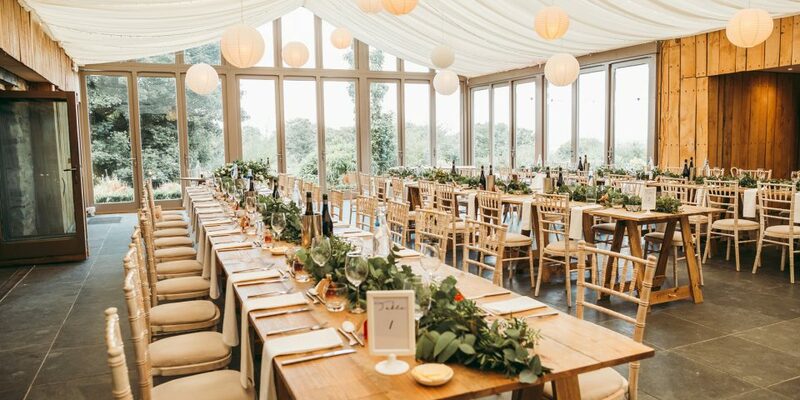 Again you can decide how you would like the seating arrangement for your guests with a central aisle for a formal style or arranged in a horseshoe for a more relaxed feel. 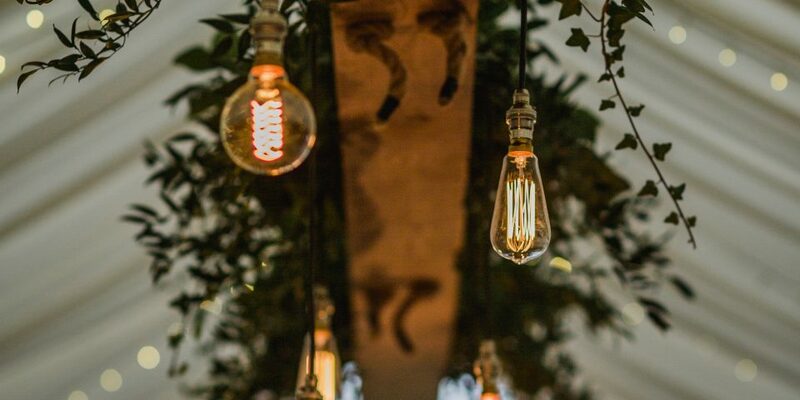 Bringing the outside in, or is it taking the inside out? 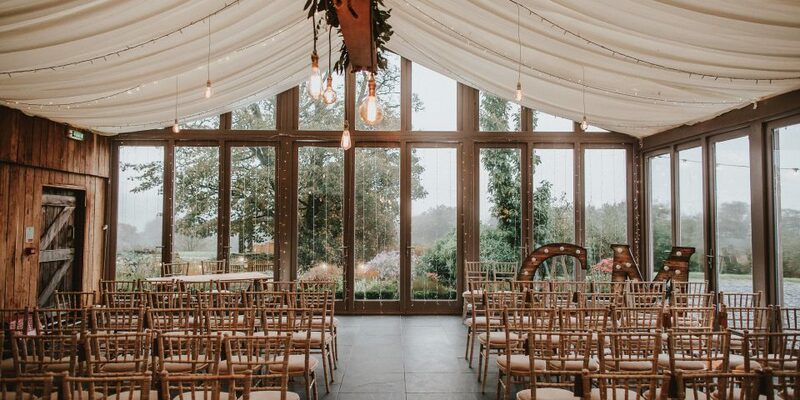 Either way, our couples have the choice of a ceremony with an “indoor outdoor” style when the weather is not being so kind. 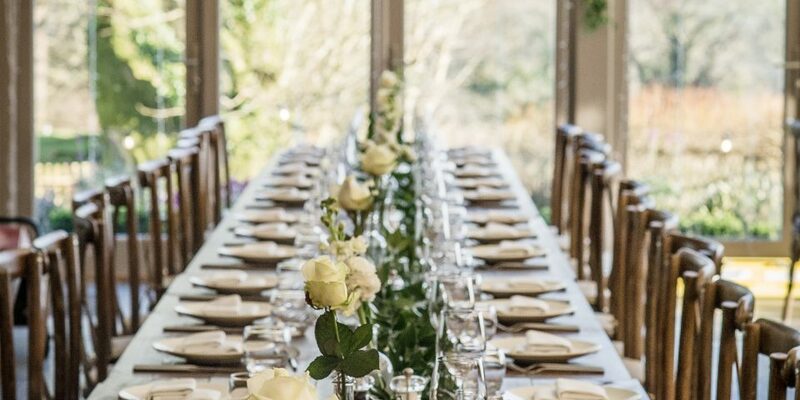 With views across the Arbour Lawn, Garden Meadow and over to Berry Tor, your guests will see all that is romantic about being married in the Cornish countryside, from the inside. 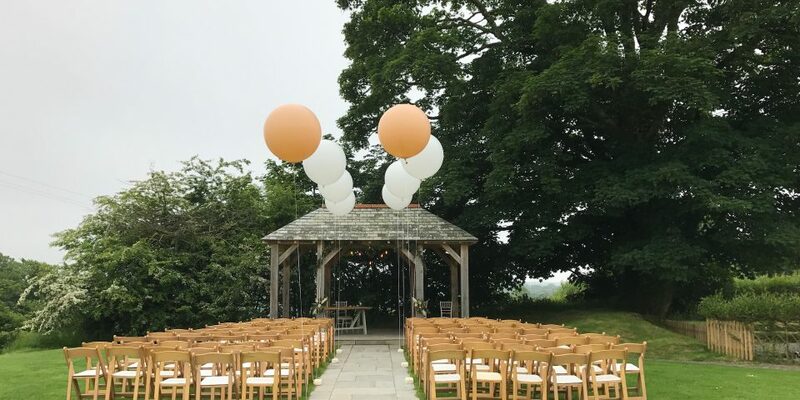 For the times when our lovely Cornish weather isn’t quite so ‘lovely’, our Garden Venue makes a beautiful Ceremony location – just add flowers, guests & a couple! 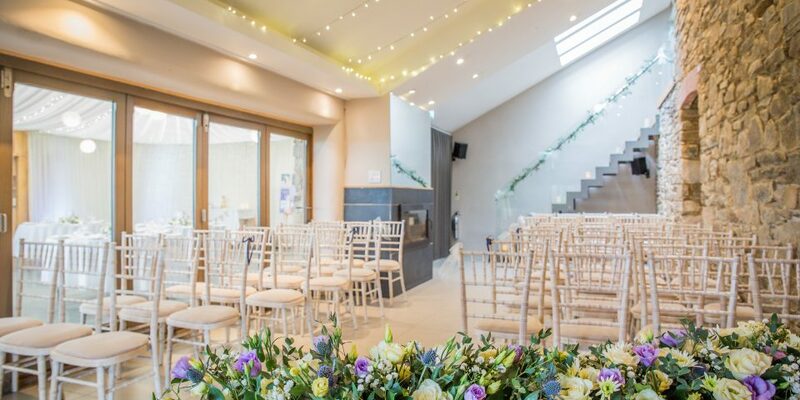 The Garden Venue space comfortably seats 120 guests with a wide aisle for our Brides and Bridesmaids’ dresses!During the winter months the Garden Venue mood lighting will add another dimension. 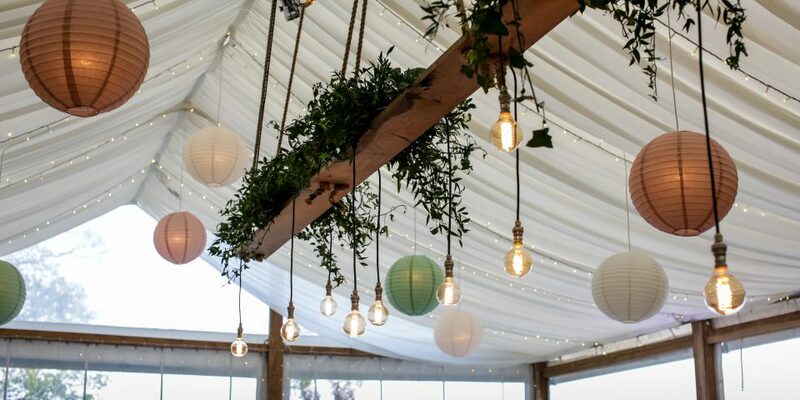 The soft ceiling drapes are full of fairy lights which will twinkle above you as you say your vows. The colour changeable up-lighters provide a warm pastel glow with pin spots highlighting floral decorations. 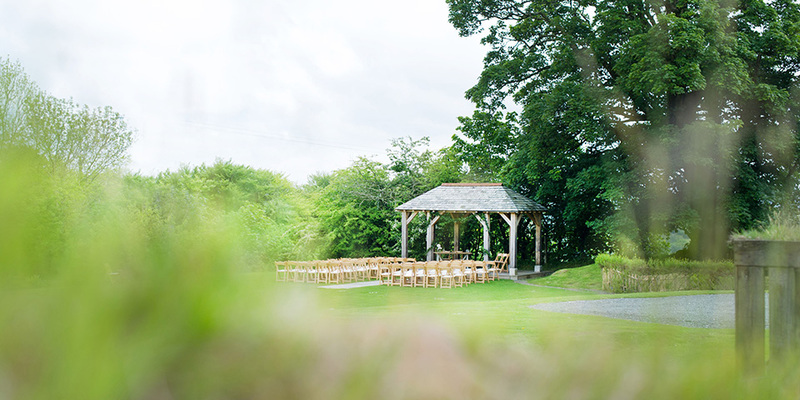 The Garden Venue is fitted with a surround sound system for ceremony music. On days when the weather is unpredictable, neither absolutely dry for an outdoor Arbour Ceremony or neither too wet for a definite indoor Garden Venue Ceremony, Team Trevenna will set up both ceremonies allowing a last minute decision on where the ceremony will actually take place.The following locations are licensed for Ceremonies at Trevenna, our Threshing Barn, Garden Venue, Shippon Barn, Farm House and outside under our Arbour. 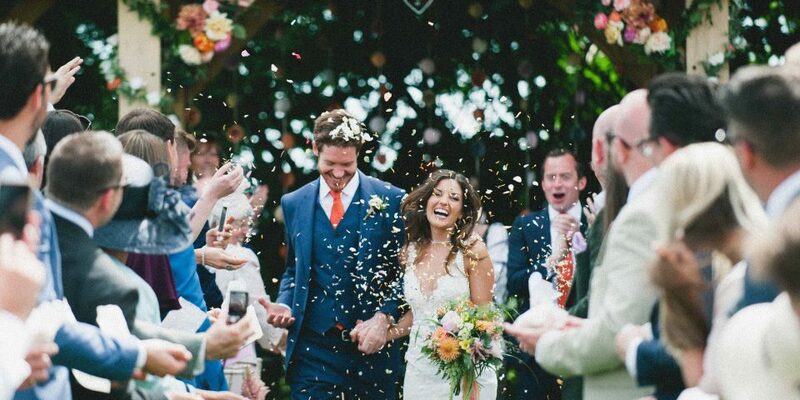 So whatever your wedding style, Trevenna has the perfect Ceremony location to suit you. The church of St Neot is stunning with beautiful stained glass windows and surrounded by history. 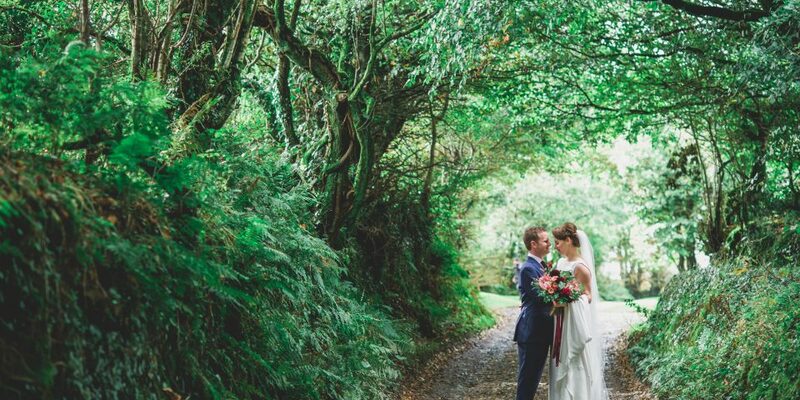 Located just over 1 mile from Trevenna the church is a popular choice for many of our couples. All couples interested in St Neot church should call 01579 320472. 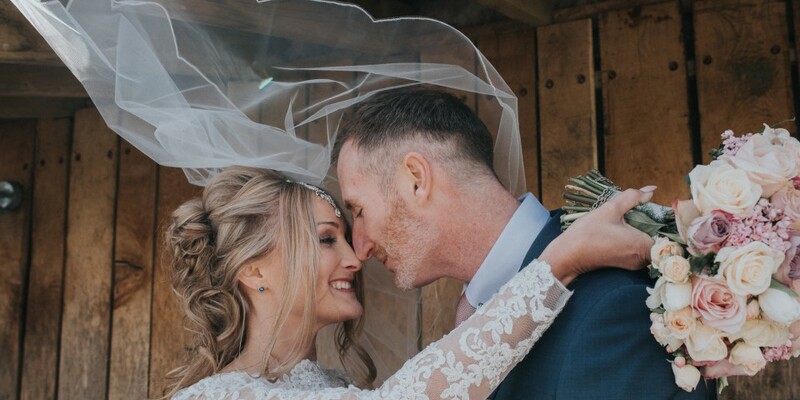 If you would prefer to hold a Humanist Ceremony or a Celebration Ceremony @ Trevenna to celebrate an earlier legal marriage then we can provide you with contact details for local Celebrants. 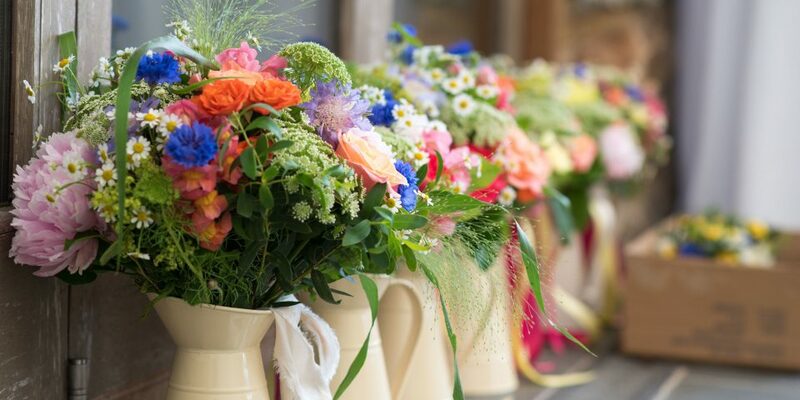 Our stylish cluster of Barns and Farmhouse provide a stunning setting for celebrations & receptions. 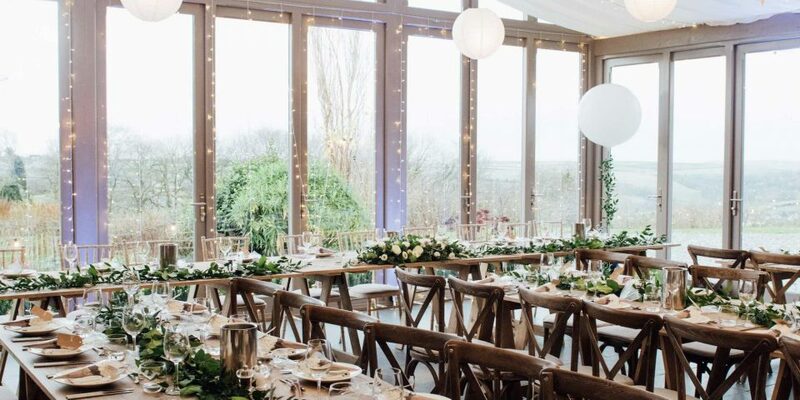 Our contemporary Garden Venue with its stone and wood clad walls, soft drapes and natural slate floor is beautifully fused to the Threshing Barn to provide a light and airy space for dining and an extended house party feel for up to 120 Day Guests. 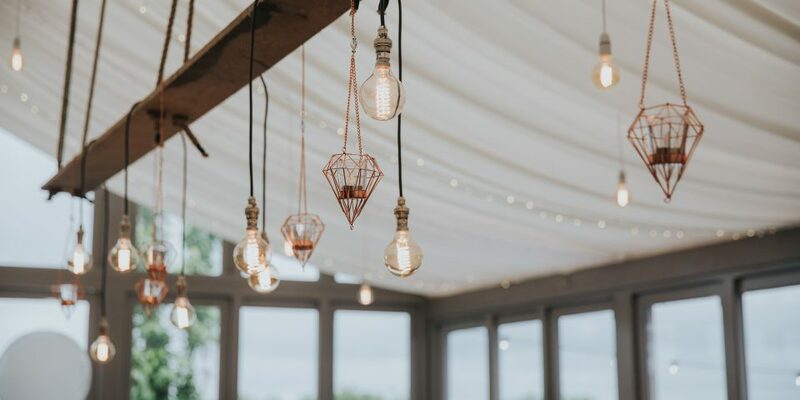 Available all year around, fully heated, with twinkly lights in the ceiling and mood lighting this is truly a reception space you can make your own. 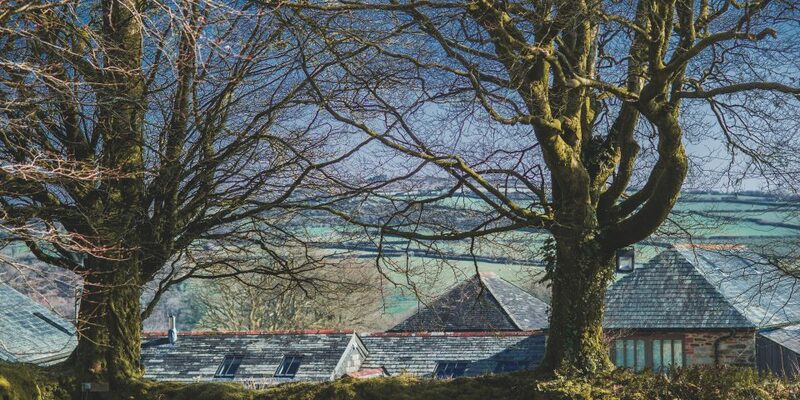 Walk through to the Threshing barn bar with its lovely walnut cladding and stocked with a range of local draft ciders, lagers and ales for a real taste of Cornwall. 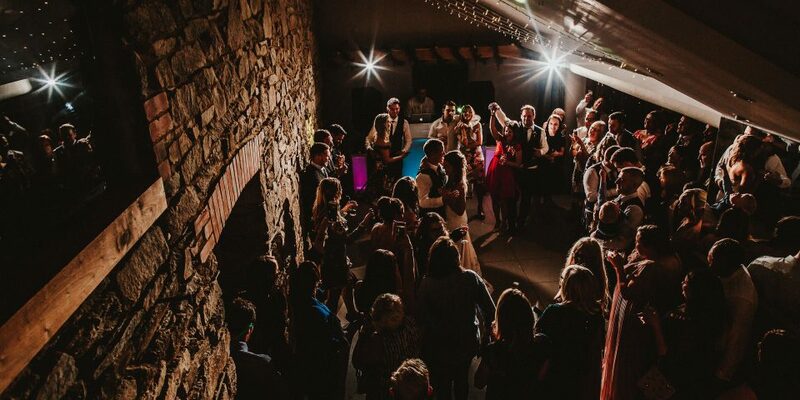 Dance the night away in the Threshing barn with up to 150 Guests using our sound system or book a DJ or Band or why not try a Ceilidh Band for a truly Cornish experience. Or simply relax with background music and enjoy the beautiful surroundings with your family and friends. 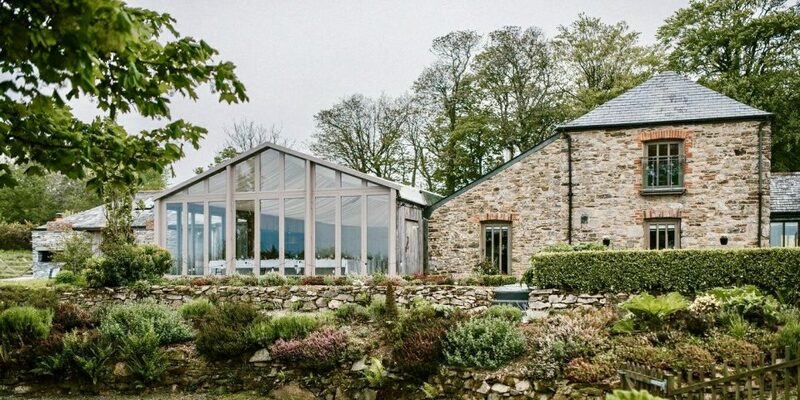 The cosy farmhouse bar will be open for drinks before your ceremony. 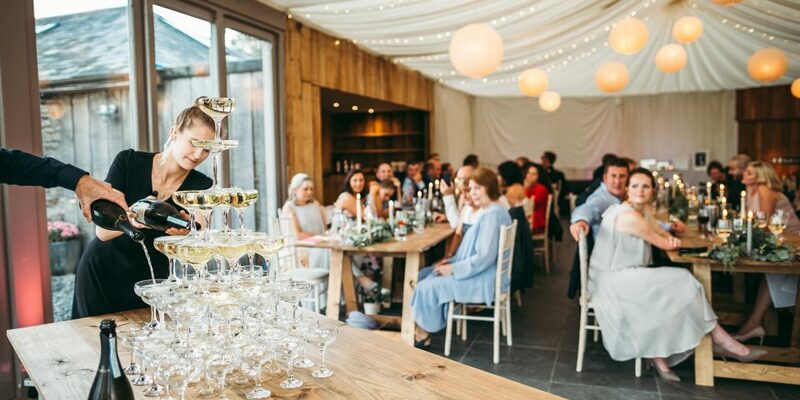 Guests staying at Trevenna and guests arriving for your day gather by the farmhouse bar for Pre ceremony drinks as the excitement begins to build. If the weather is fine, guests can relax in the Farm house garden before being ushered to your ceremony. 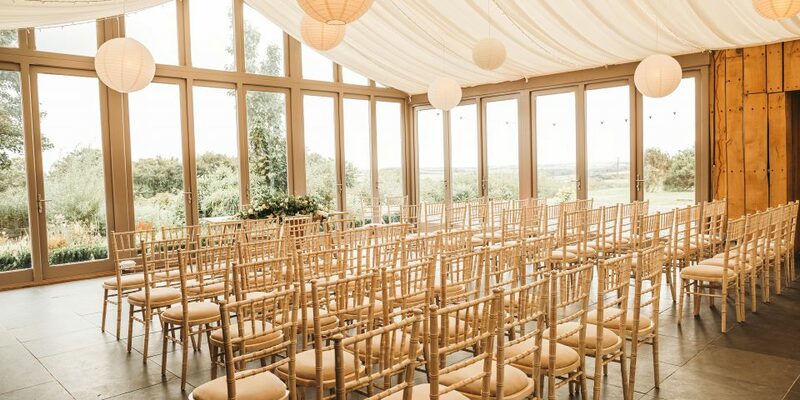 The farmhouse is a lovely cosy space for guests to mingle in before your ceremony begins. As you walk back down the aisle as a newly wed couple, canapés and celebration drinks may be served to you and your guests. Your celebration reception could be held either outside on the lawn or beside the pond or within the Threshing barn bar and Garden Venue. See our Food and Drink section for more delicious details. 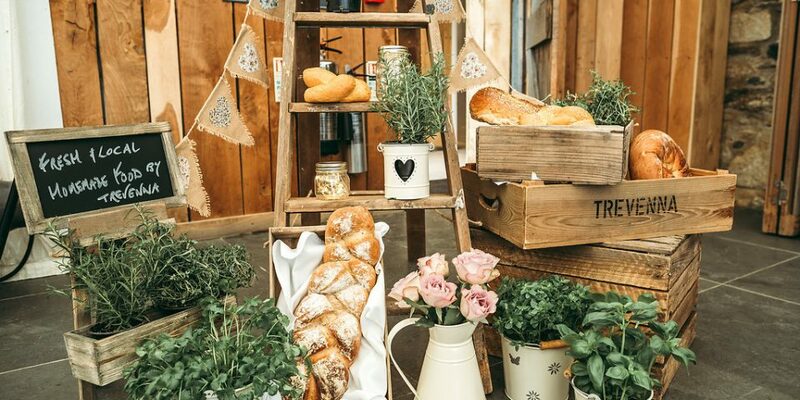 Your Wedding Feast at Trevenna will be a highlight with guests enjoying the best of local produce and freshly cooked meals prepared by our own in house catering crew and served to your wedding tables. We suggest 120 guests is the optimum number for formal dining at Trevenna with 150 as the maximum number for your evening celebrations. You have the choice of both style & size of round or rectangle tables, and a choice of chair style for dining to help you create your own personal look – so you are not limited to one style of chair or table layout. Your top table need not be long, straight or at the top! Our suggested wedding menus are put together to get your taste buds flowing as ideas from our own catering team. 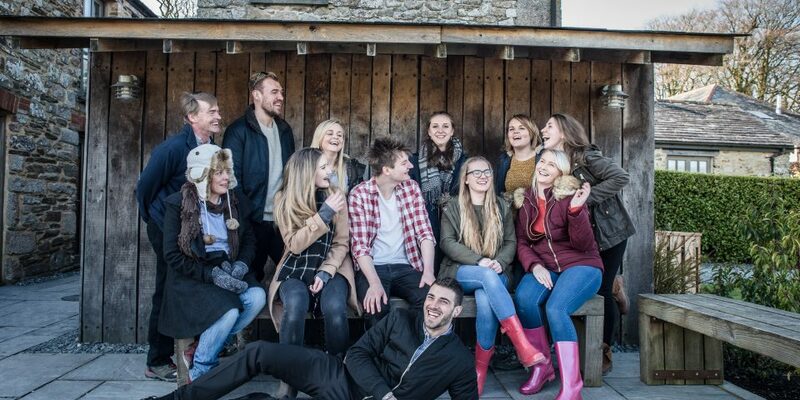 All our couples are invited to our Food Festivals held at Trevenna for food & drink tasting – and a lot of foodie natter. 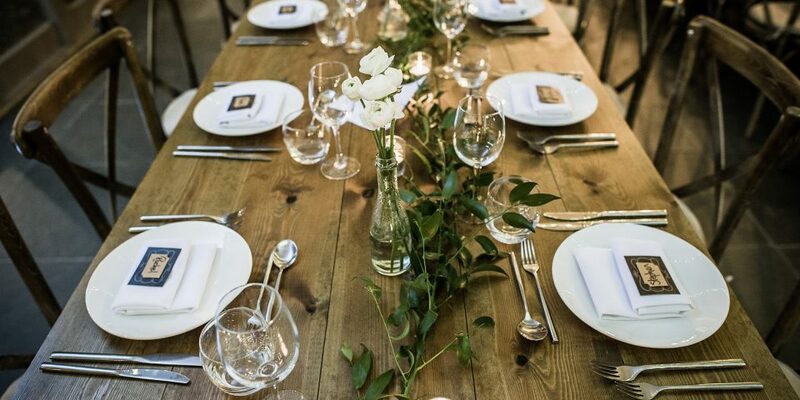 Gastro Farm House inspired menus provide a wholesome Wedding Feast, using prime cuts of quality meat and delicate fish your guests are in for a treat! Our Cornish sharing boards are always a popular choice and provide for a very social food event! The range of wedding feast options is endless and our team work alongside you to create a wedding menu that reflects you as a couple. 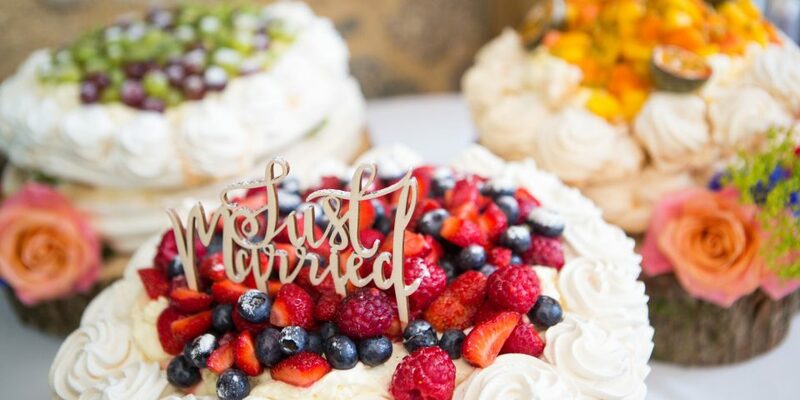 See our Wedding Menu Brochure for delicious ideas. 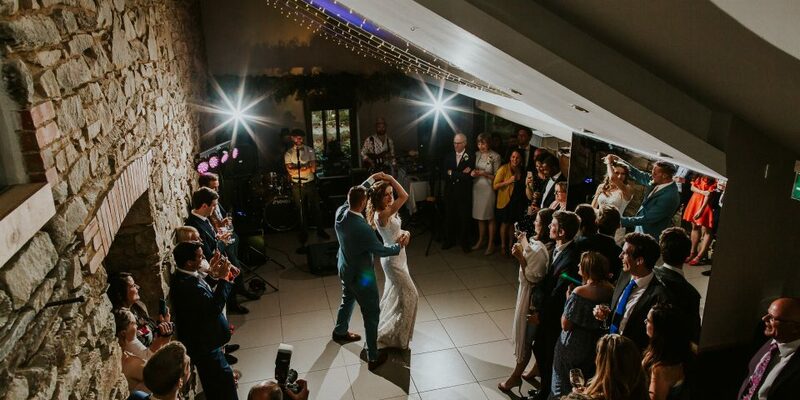 From your first dance, Guests can dance the night away in the Threshing Barn with a Band, Ceilidh, Disco or iPad play list. Or, Guests can simply relax within our Garden Venue with its subtle mood lighting, tea light candles and sofa area. Our Threshing Barn Bar is open to serve local draft Ales, Lagers, Ciders, Premium spirits, Wines and Champagne and even your own Cocktail List! Evening munchies are always a very popular choice to recharge guests and what better than the Ultimate Cornish Pasty! 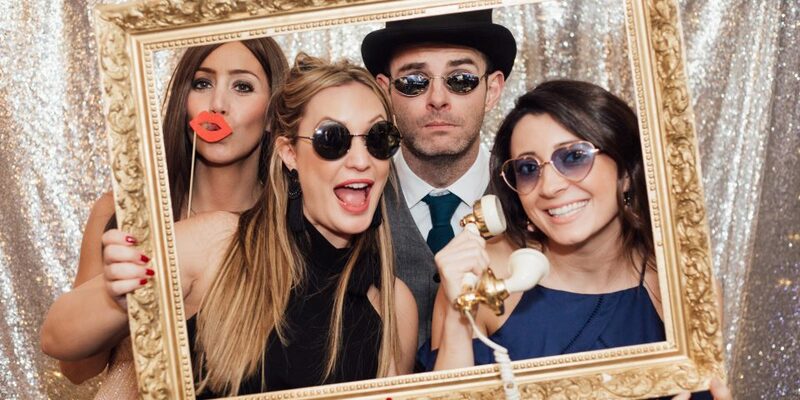 Our team will be on hand to keep your celebrations flowing and prior to your day will help with ideas and suggestions. 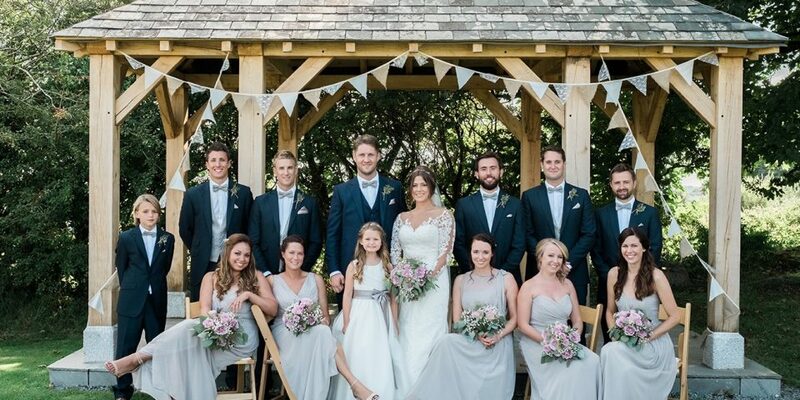 Trevenna’s experienced team are here to help you create the wedding of your dreams. 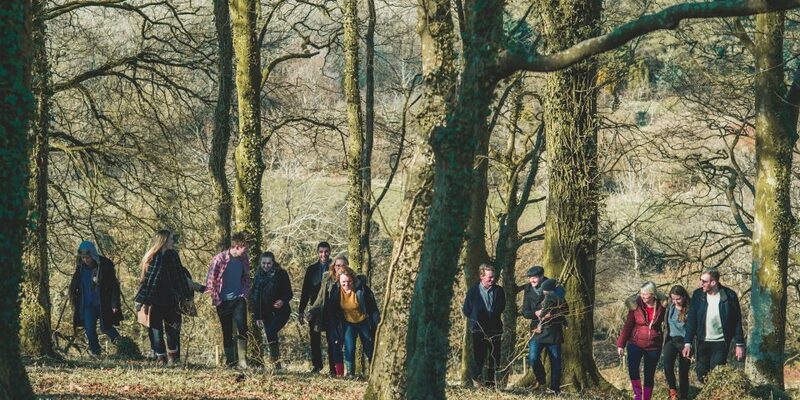 Our discreet team cover every aspect of delivering your day, from our Wedding Desk dealing with your enquiries and plans, through to our Kitchen Crew and Wedding Hosts who prepare our venue & food, taking the strain (and work!) out of your day. 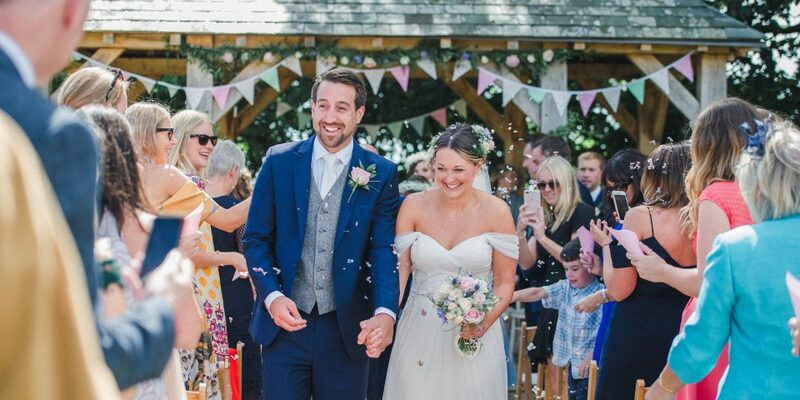 Our approach to hosting your wedding is friendly and flexible – please read our Reviews. 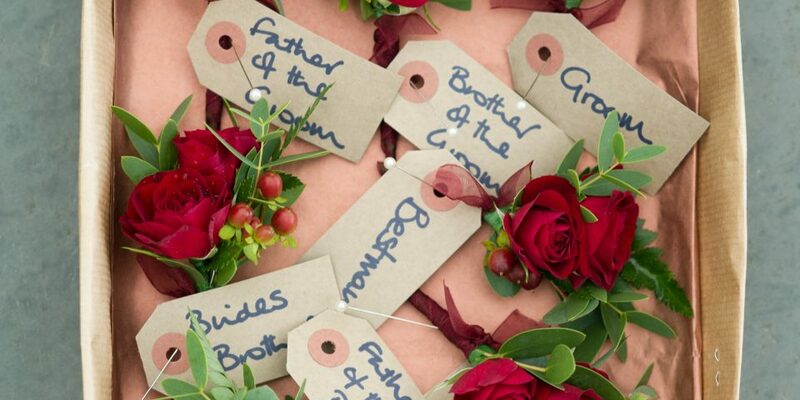 We work closely with our couples and help with ideas, suggestions and inspirations throughout your wedding planning. We want this to be a fun and enjoyable journey! Once we have agreed all your plans we put these into an Order of your stay, this includes all your food & drink choices and every detail and relevant bit of information. 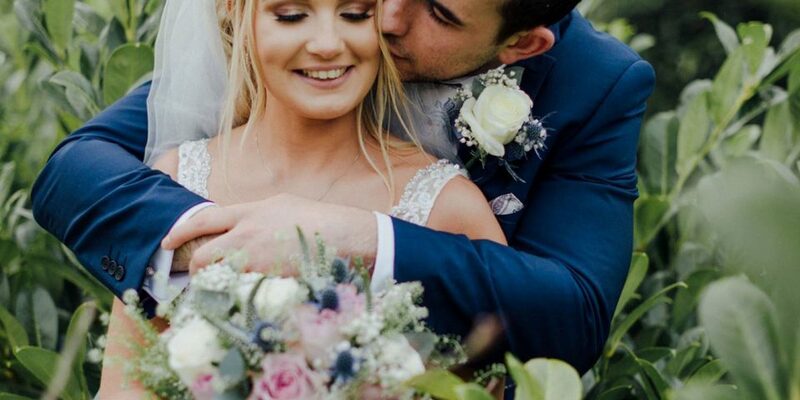 Once you have confirmed you are happy with this our dedicated wedding team then use this information to facilitate your stay and host your wedding celebrations – allowing you the freedom to enjoy your time at Trevenna with family and friends. We hope our website gives you a flavour of our style and what we have to offer. 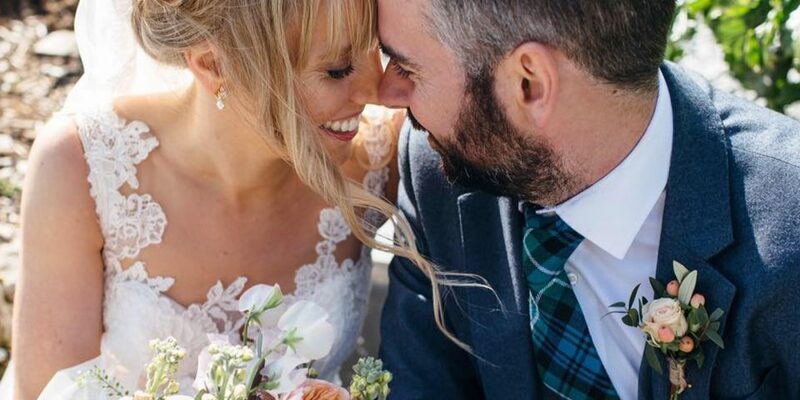 The best way to find out if Trevenna is the right wedding venue for you is to come and visit us, meet our team and see for yourself. All viewings at Trevenna are on an appointment basis. We suggest you allow approximately 1 hour for a tour of the barns and to go through your initial wedding plans. Please contact us on 01579 320013 or use our Contact Form to find out further details & arrange a viewing. 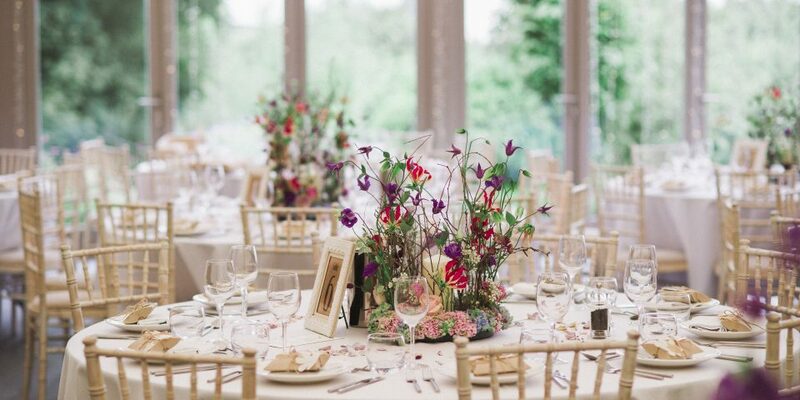 We try to be as flexible as possible when arranging the time and day of wedding viewings. 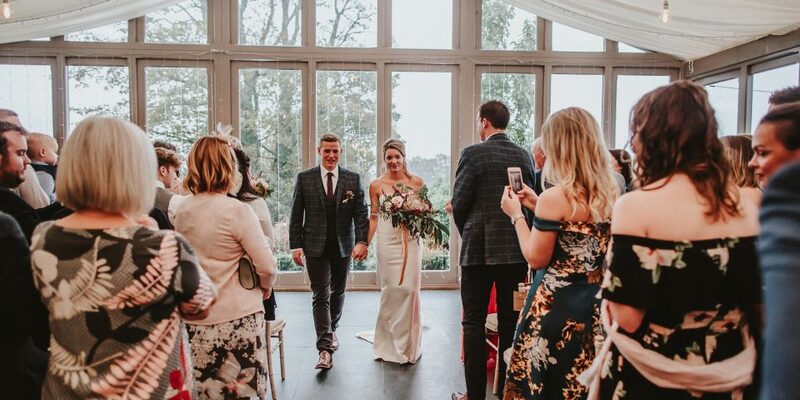 We do however need to arrange all viewings around weddings actually taking place.Popular times for viewings are Fridays between 11am and 2pm, and on Sundays between 12 noon and 4pm. This is when we normally have a complete changeover of guests. We can also offer viewings in the week and evenings. 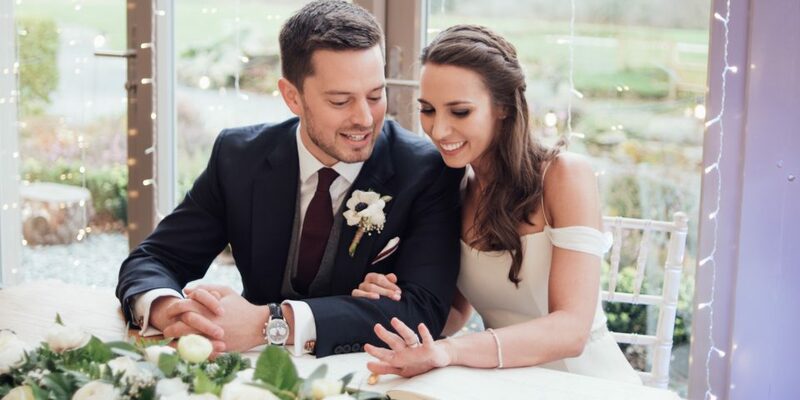 So please contact us to arrange a viewing or just for a general chat about your wedding ideas using our contact form above or please ring 01579 320013! We look forward to welcoming you to Trevenna. 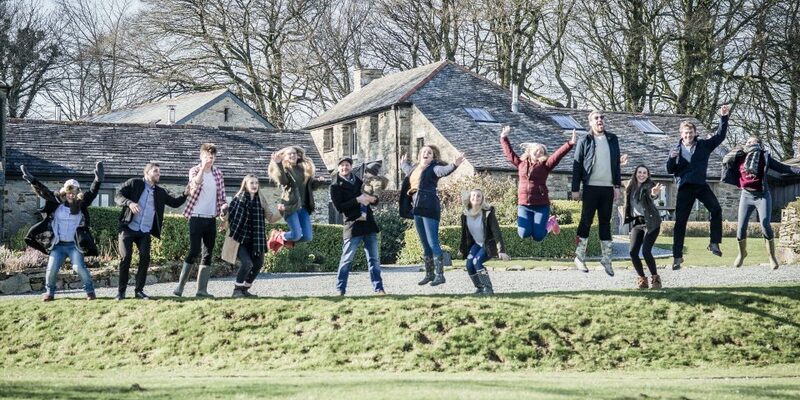 Our lovely in house Wedding Team to help with guidance, ideas, inspiration and support during your wedding planning. Most of our couples choose to hire Trevenna with one of our Inclusive Hire Options. 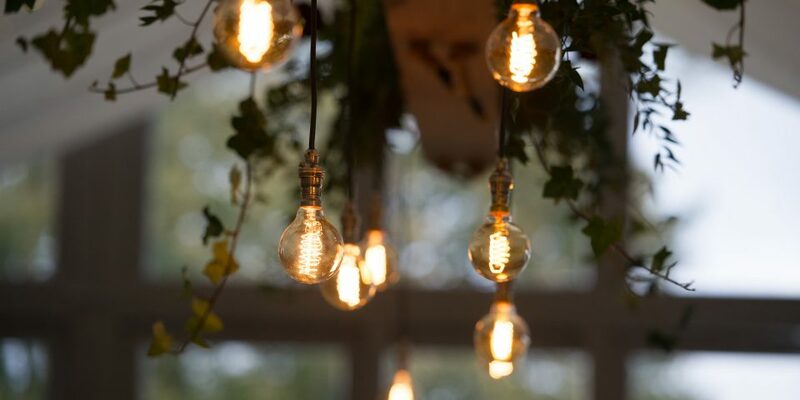 These include all of the elements of the Exclusive Hire detailed above, plus an inclusive Food and Drinks combination based on feeding & watering 40 resident Guests. 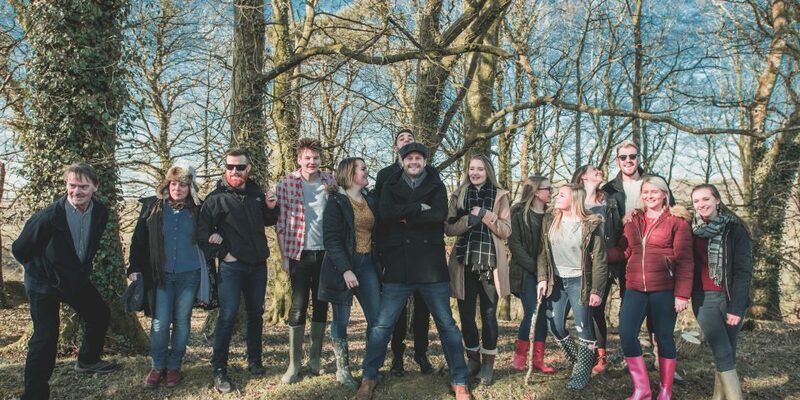 Don’t worry – you can add additional day guests up to a maximum of 120 day guests (we can only accommodate up to 40 resident people over night on site to stay,… plus a a few additional children)! Download our One Night Inclusive Hire information for 2018 or for 2019. 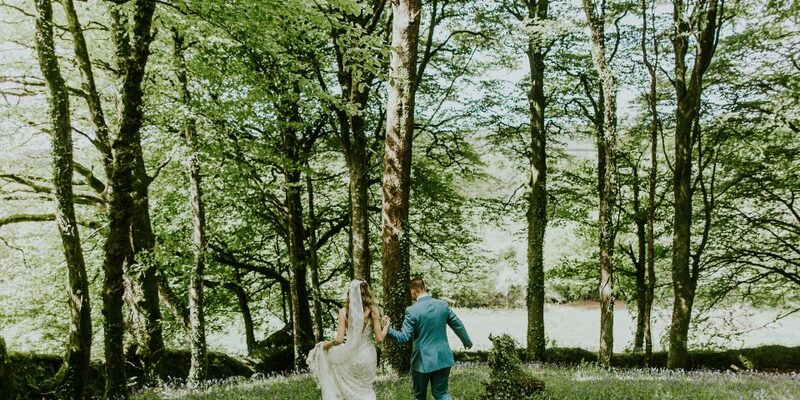 Take a look and print off our handy Wedding Venue Tick List – Trevenna in a nut shell including brief information on our Location, Venue, Ceremonies, Celebrations, Food & Drink, Accommodation, Team, Exclusive Use Hire and Food Festivals. 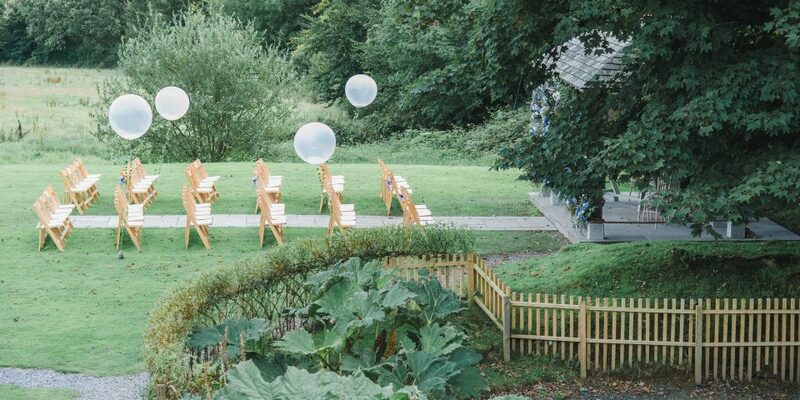 Trevenna is a blank canvas ready to be styled as you wish for your wedding celebrations. Creating your own unique style is easy with our neutral spaces. 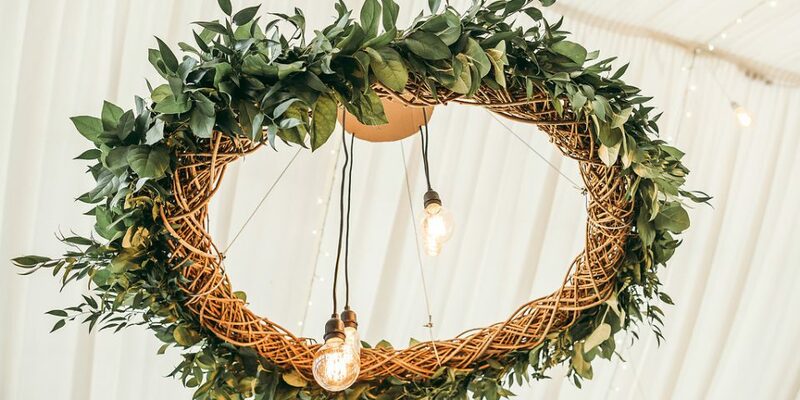 Through our years of experience we are able to offer styling and theming services to create the wedding look you dream about! We love working with creative and talented people. We are delighted to share their details with you. Please Contact Us to find out more.